When you drive a vintage Mercedes-Benz, you have chosen to enjoy a very special driving experience: superior, elegant, and with incomparable smoothness and comfort. It is made possible by the most sophisticated engineering, a complex concert performed by hundreds of gifted soloists. In our Mercedes-Benz Oldtimer Werkstatt, we specialise in the maintenance, repair and overhaul of each and every soloist, ensuring that even after decades, the ensemble plays in perfect harmony. It has never run so well before? 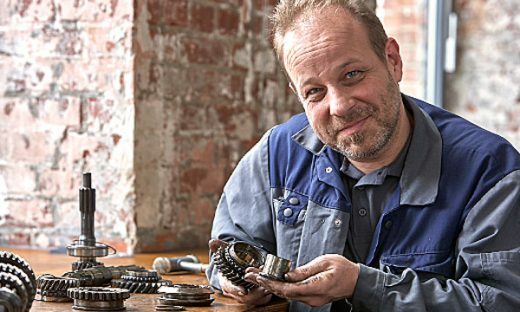 The engine is the heart of every vintage Mercedes-Benz, and whether it is fully rebuilt, undergoes maintenance or is simply tuned, our expert automotive craftsmen, Sigurd Paul and Steffen Götz, ensure that each individual part is perfectly adjusted and in tune with the others, down to the last detail. The result is an incomparably smooth running of the engine. The transmission, the rear axles, the power steering – they account for the special fascination and the exceptionally smooth ride of a Mercedes-Benz vintage car. If noises or leaks emerge in any of these components or their performance deteriorates, Dieter Völp, our core mechanical systems specialist, begins searching for the cause. As the ultimate old hand, and as one of only very few in this field with his level of mastery, he analyses the jarring notes with an unerring instinct for the technical interconnections and consistently finds customised and sustainable solutions that restore the unparalleled Mercedes-Benz driving experience. Though a Mercedes-Benz Pagoda is a thing of beauty, the Pagoda’s four-speed gearbox is not always a joy at higher speeds. Replacing it with a five-speed gearbox can significantly enhance your driving comfort. The higher gear spread allows for smoother driving and reduces both fuel consumption and wear and tear on the car. We have special expertise in retrofitting transmissions of this type. We make use exclusively of high-quality gearboxes produced in accordance with original Mercedes-Benz designs. Would you like to learn more? Our team of technical experts will be glad to advise you. For decades, the members of our technical team have ranked among the best in their field. With their expertise, focus and persistence, they are dedicated to preserving your vintage car’s inner worth, ensuring that it always gets you to your destination both safely and reliably. 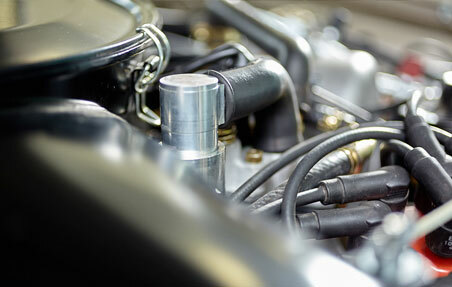 After assessing the overall condition of your vintage or classic Mercedes-Benz, we show you what options you have for maintaining or restoring the car’s safety and reliability of operation, always with the aim of keeping overall repairs and modifications to a minimum. By opting for regular service and maintenance, you preserve the inner worth of your vintage or classic car. 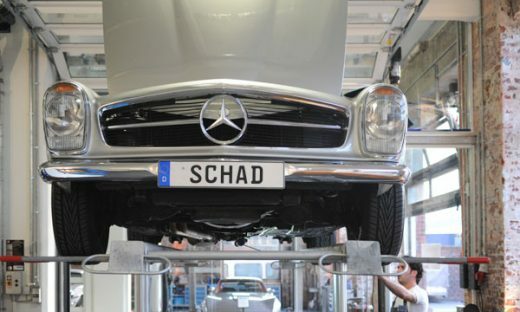 We carry out maintenance of the engine, transmission and suspension in accordance with Mercedes-Benz standards. If a mechanical or other problem should become apparent in the course of maintenance or during operation of the car, we perform the necessary repairs – after first consulting you – and restore the car to good working order. Wherever possible, we locate original parts, or, if the necessary part is no longer available, we have authentic replicas of the original parts produced. Even the most sophisticated, most solidly engineered technology will occasionally show the ravages of time. If repairs alone are no longer sufficient, we carry out a complete overhaul of the core mechanical systems. We fully disassemble the engine, transmission or rear axle differential and, working to the highest standards of precision craftsmanship, restore the component to a condition that is as good as, if not better than, its condition when new. 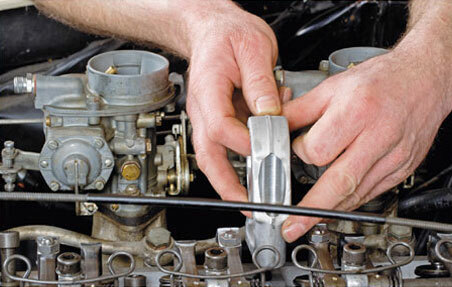 With a vintage car, carrying out repairs or overhauling components involves a great deal of detailed work. Therefore, we carefully document all steps performed in photographs. 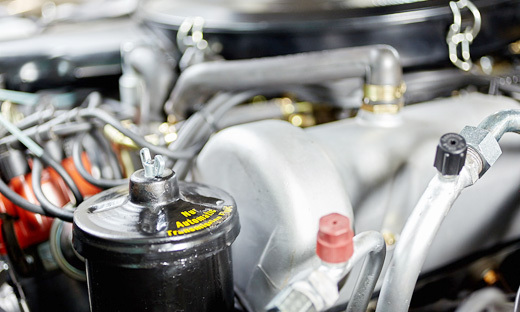 This documentation also enables us to notify you in advance of any necessary maintenance or repair work, ensuring that driving your vintage car remains a completely pleasurable experience at all times.